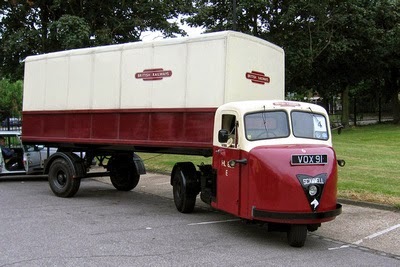 Obviously the most unusual feature of this tractor unit is a lack of a wheel, which as it turned out help in sales where it excelled in manoeuvrability. 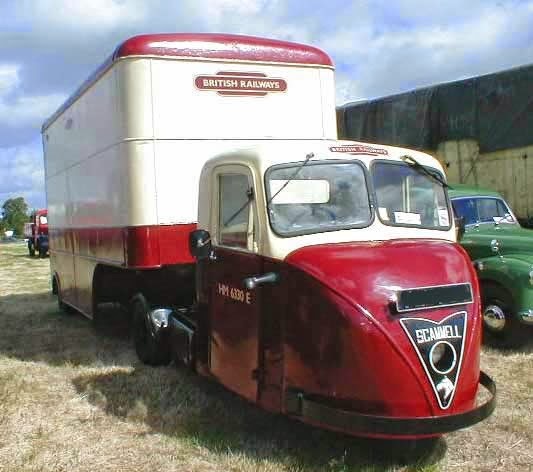 Designed to replace its previous Mechanical Horse unit (again a 3 wheeler) this was designed with one specific end user in mind, the railways to which luckily turned out to be the main customer. 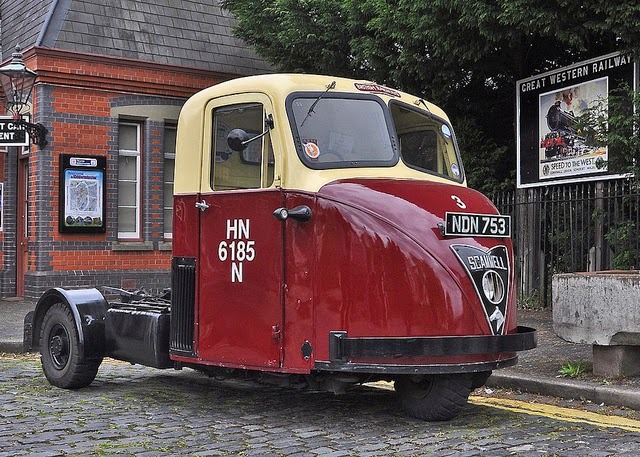 Hence the streamlined "loco" look and gave it a more modern appearance when it went on sale in 1948. 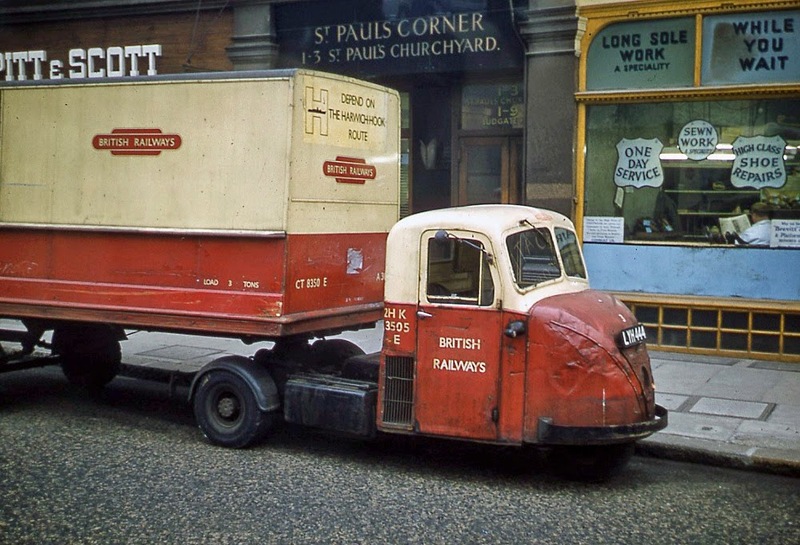 As mentioned, its manoeuvrability meant it also found its way in to many towns and cities in the UK as a delivery vehicle as it could easily get around the tight post war streets. 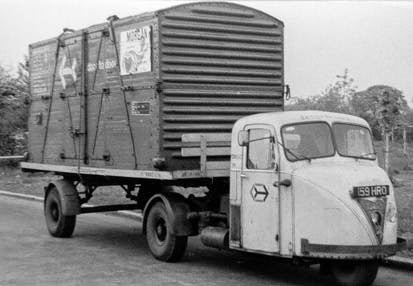 It was powered by a 2ltr side valve petrol engine originally and later a Perkins Diesel and could be had in both 3 ton and 6 ton versions. Out of the all of the Scarab’s that were built up till 1967, and it was in the 1000’s, only 60 remain. I love the single headlight and how dainty it seems by modern standards.